A few weeks ago, I gave evidence to the Justice Committee on disproportionality in our criminal justice system, a year and a half on from my review. I would have loved to be able to explain to the panel how far we have come, how today our BAME population receive fairer treatment in the courts, how trust has been strengthened between communities and the police and how opportunity to avoid the criminal justice system altogether has been equalised. However, as I told the committee, if anything, things have got worse. The fact that 51% of the youth prison population are from a black, Asian or minority ethnic background should alert us all to the colour of injustice in this country. Admittedly, to expect dramatic change just a year on from the Government’s response to my review would be to downplay the complexity of the problem. At least people are listening – the fact that the Committee had continued to take a strong interest in my review was testament to this. I was pleased that the Ministry of Justice set up the Race and Ethnicity Board, having accepted the principle of “explain or reform.” I was pleased with the commitment made by the HM Prisons and Probation Service to recruit 14% of its staff from a BAME background by the end of 2020. And I was pleased with the work that had been done on “Deferred Prosecution” pilots across the country. This is a system that allows offenders to be treated for the problem that they are presenting. It could be drugs, it could be anger management, it could be problems at home. If we can get to them, we avoid driving them down the guilty/not guilty pipeline. This will be a hugely important tool in driving down racial disproportionality. That’s because the moment you plead not-guilty, which you are more likely to do if you are BAME, you say goodbye to any support from the system. I still have concerns about the application of Joint Enterprise and about IPP prisoners. However, I made it clear to the chair of the committee, Robert Neill MP, that there was one area in particular where my recommendations were seemingly falling on deaf ears. There are no BAME judges in the Supreme Court; they make up only 3% of High Court judges and 4% of Circuit Bench judges. I was extremely disappointed, then, to hear that both the Government and the Judicial Appointments Committee rejected my recommendation of a diversity target, even though other groups were calling for me to recommend a much more stringent quota. Issues of trust with BAME communities are not just relevant to the police. It is also hugely important that those in the highest positions of legal authority represent the communities over which they preside. For too long, the judiciary have treated its eligible pool as the scapegoat for its homogeneity. Racial diversity, it seems, supplants appointment by merit. However, trading off racial diversity and meritocracy is not only implicitly prejudicial, but is a palpably deceitful way to hinder reform. Of course we should always look for ways to diversify the legal profession, but this simply cannot explain everything. That’s because BAME people are already in the system. 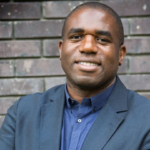 The problem is that they disproportionately drop off at every stage of the application process.There are talented, BAME, legal professionals, but they are becoming increasing invisible to those at the top of the recruitment hierarchy. 20% of solicitors and 13% of practising barristers are BAME – why aren’t these figures reflected in the judiciary? I was very pleased to meet the new Lord Chief Justice two weeks ago, and his predecessor on two occasions after completing my review. I was pleased to hear the considerable amount of value he placed on judicial diversity; he agreed that it’s intimately connected to public confidence, the fuel on which our criminal justice system must run. I was told that, despite searching high and low for an explanation, the Judicial Appointments Commission simply cannot find one, at least not one that is obvious, for the lack of BAME judicial representation. To me, however, the explanation is strikingly evident, and this self-proclaimed unfamiliarity makes it even more strikingly so. That’s because if people cannot say what is happening, it is likely that what is happening is discriminatory practice. This grounds my message today, a message that requires uncomfortable reflection: discrimination is not exhaustively conscious or deliberate. Invisibly generated but very visibly endured, prejudice is often the consequence of unconscious and implicit bias. However, the moment we deny our responsibility to redesign the very institutions that engender these racial biases is the moment that we refuse to overcome them.